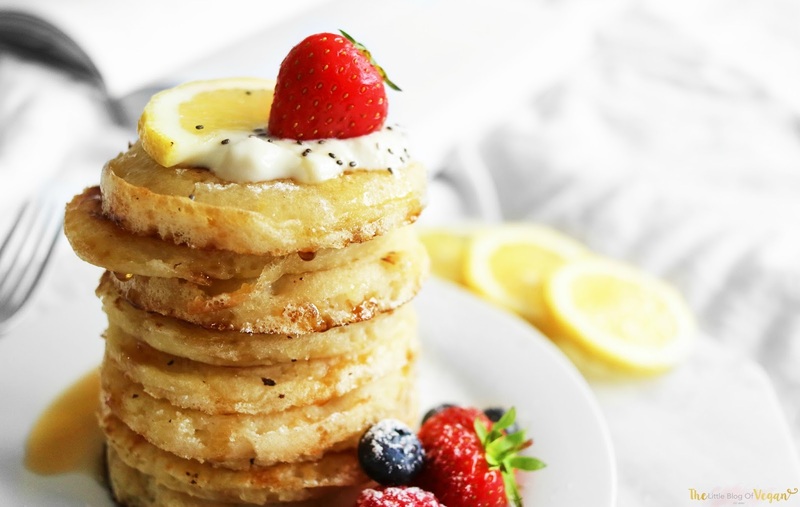 I've been craving lemon pancakes recently and I know it's nowhere near pancake day but it's never too late for pancakes! 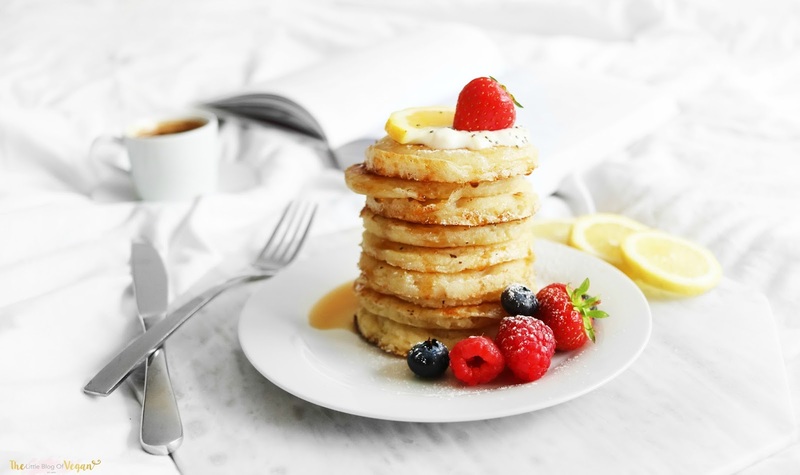 I made this delightful (and very satisfying) stack for breakfast and they tasted amazing and I had to share my recipe with you guys to enjoy too. 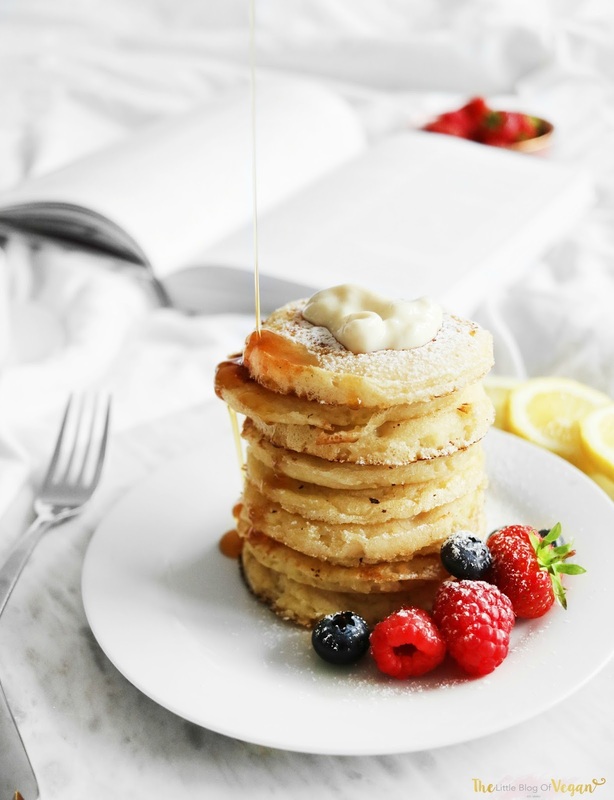 This recipe is quick and simple and once you have the perfect pancakes ready, the fun part begins, stacking, filling and decorating. Step 1- Pre-heat a frying pan with a splash of oil. 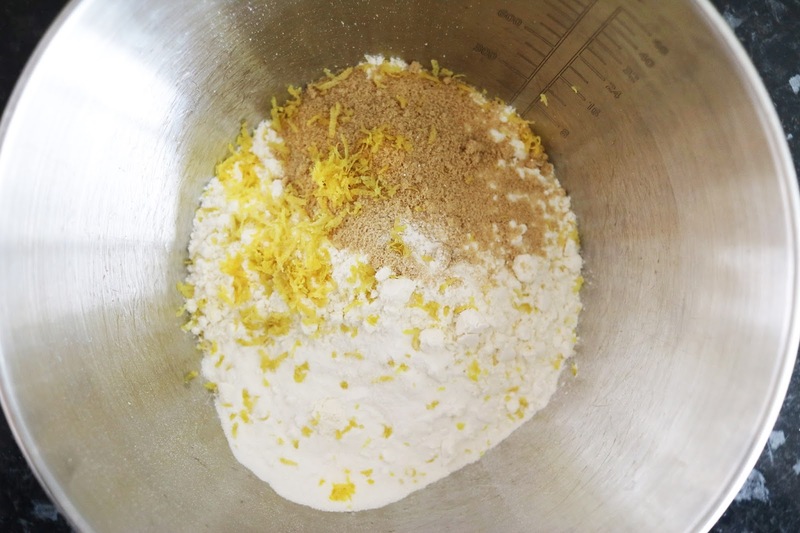 Step 2- In a mixing bowl, mix together the flour, sugar, lemon zest and baking powder. Step 3- Pour in the milk, lemon juice and oil. 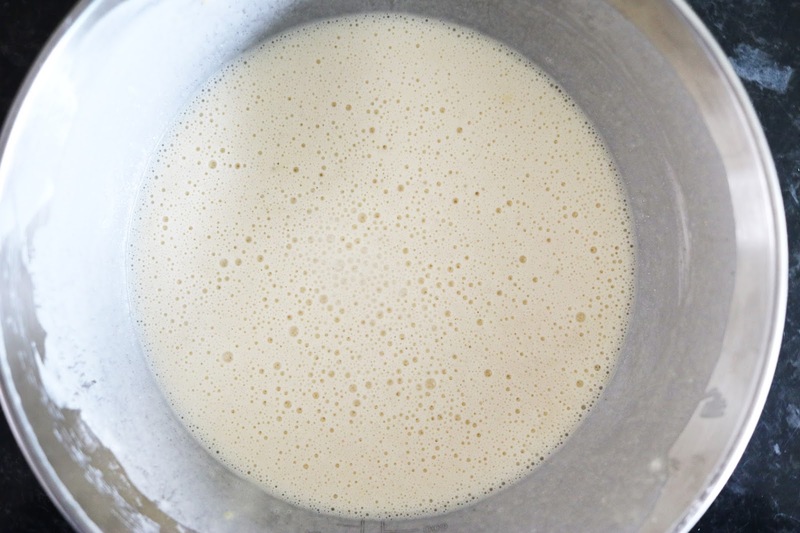 Make sure you mix this until it's fully smooth, as we don't want lumps in our pancakes. 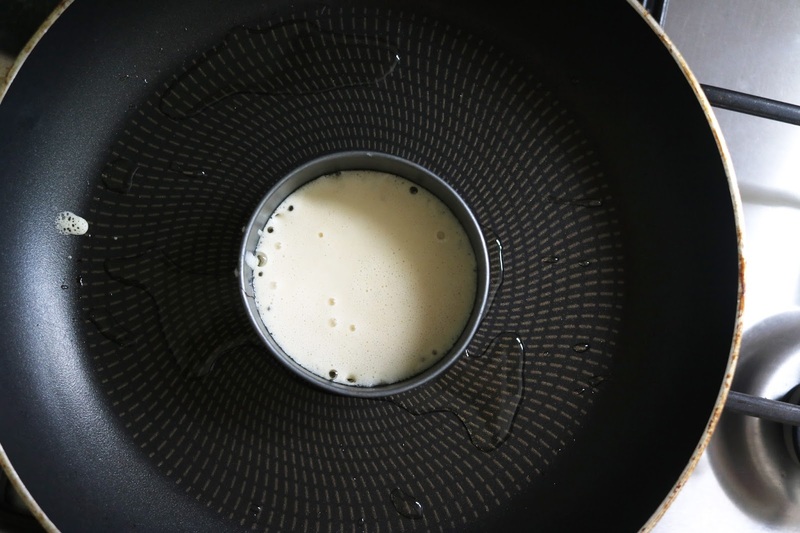 Step 4- Using a large spoon or ladle, carefully pour a small amount of the mixture into the centre of the hot pan, leave it for a minute or so then flip. I used a round metal cookie cutter to help create the perfect round shape, just be very careful as the cutter gets very hot. Only flip when the edges of the pancake look stiff. 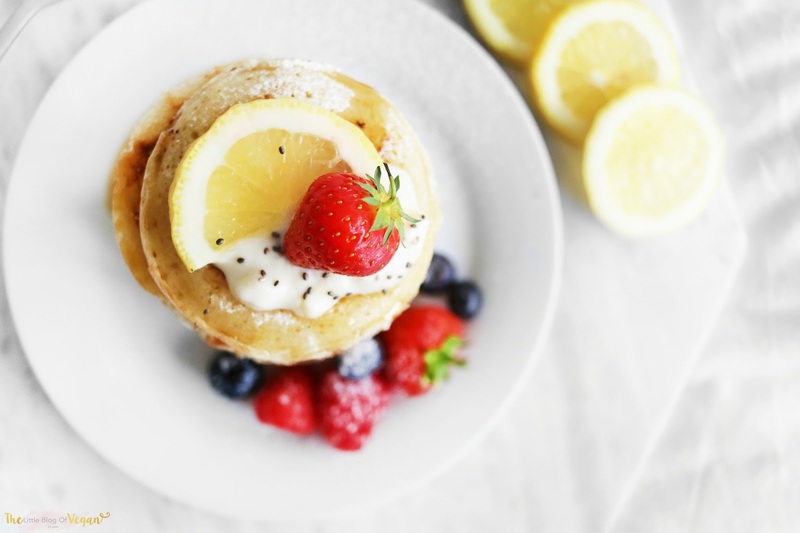 I served my pancakes with a drizzle of maple syrup, a dollop of dairy-free soya yogurt, freshly sliced zesty lemon, fresh berries and a sprinkle of powdered sugar. These sound delicious, love the idea of adding lemon. They're so neat when you cook them like that too!